What does change mean to you? Is it challenging, or something you take head on with courage? Sometimes it may certainly depend on the situation. Maybe you are taking a substantial risk in your career, or maybe it is something as minor as cutting your hair. But even the small changes are significant. Regardless of the magnitude, aim to embrace the circumstance with gratitude. Every act you make to better yourself, is a step towards a stronger, more fearless you. Change can be something that pushes you to new heights of growth in your career, relationships or personal development. But it’s not all that easy to embrace it at times. Sometimes change may involve failing. 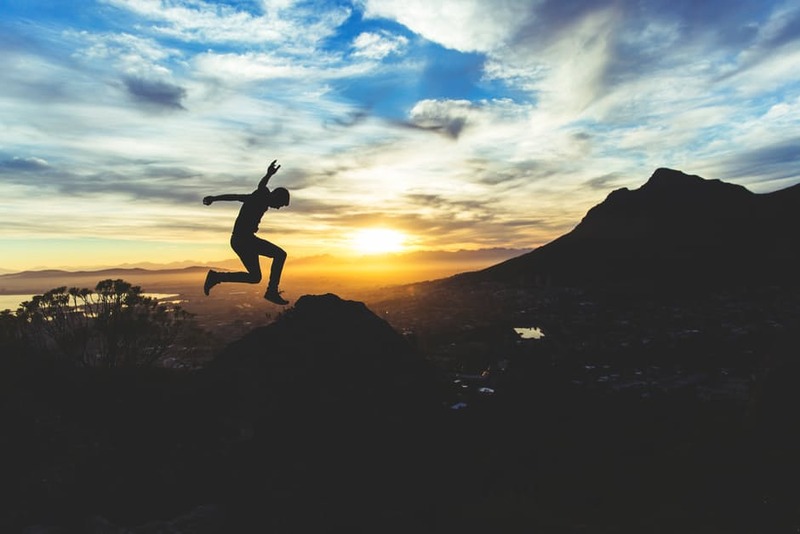 So it is crucial to recognize that any fear you have going into an immense leap, stems from fear of the unknown. After all, any failing that you encounter is more of an achievement than winning can be at times. Picking up each piece and determining how to move forward encourages the kind of growth that takes you to higher grounds. Just as the tide rises and the moon reaches it’s luminescent peak, human beings must transform themselves through time to achieve a greater sense of worth. But in order to embrace change fully, it goes without saying that you must devote your greatest effort. Additionally, remain fully aware of how you are feeling during the process. Check in with yourself and ask questions like, “How is this change helping me,” “how can I achieve maximum results (even if that means failing),” and “if I continue to forward with this new change, will I be happy?” At the end of the day, you must always follow your intuition and recognize when you no longer align with a current pursuit. Change is not always easy, but diving into it head on will grant you more growth than staying stagnant ever can. Be ambitious, and do not pass up an opportunity to achieve more, even if it means taking a risk. The dark, grey clouds slowly begin to dissipate, as the vibrant blue sky fights it’s way into view. Beams of light pierce through the sky’s opening, infiltrating the atmosphere with warmth and life, though eventually reaching the ground below. Dormant seeds that waited patiently for winter’s end, are now energized with the promise of fresh sunlight and soft rains. As the month of March progresses, we can see examples of new life all around us. Although winter’s cozy blanket of snow brought about a sense of stillness, spring encourages us to transform our dormant seeds into ones of fresh life and new growth. Spring is the perfect time to instill productive habits, set goals into action, and do the things we said we would at the year’s start. Whatever idea you have been holding onto will not propel itself into motion alone. You have to set it in motion. Use this time to reset, restore and recharge. There is no other time than right now to finally move the ground beneath your feet. Are you searching for more in your everyday job, looking to exercise regularly or longing for the motivation to start a new project? Start today. The grass, the trees and the flowers do not put off their bloom. They bloom now because they can, and they have to in order to survive. For each seed inside us holds a vast amount of potential, anticipating its growth. Just as the seasons remind us of change, we must also change. As many of you may already know, we have been running a going out of business sale since early January. Our loyal customers over the years have bred life and personality into the Carl Sterr Clothing brand. We value and deeply appreciate all of the connections we have made with all of you, and hope that our products and people have only provided you with the highest quality and customer service. But because change breeds new growth, our decision to go out of business has brought us fresh ideas and possibilities. So as part of our going out of business sale, we have incorporated further reductions to our customers as a thank you for all of the new friendships over the years. We are offering an extra 20% off of the current sale prices. This means that you may take an additional 20% off of the already 50-75% off reduced goods. We are pleased to offer you such low prices on our high quality, luxury goods. Alterations are additional and all sales are final. These unbeatable reductions start Friday, February 10th, at 10:00AM. We cannot wait to see you in person and help you find your new menswear pieces! Although a reset is always refreshing and necessary in times of heightened pressure, I want to let you in on a little secret. But it’s not the kind of secret that will get you ahead, or help you achieve the success you always dreamed of; it’s you that accomplishes that. This secret lies inside you, awaiting to be unleashed. So as you prepare for something great, but cannot seam to find the spark to ignite your journey, remember this one idea: You cannot wait for motivation, you must create it yourself. When you’re not feeling up to a job, get up, and do it. When you feel as if you have to keep putting off something, halt the excuses, and push yourself past your perceived boundaries. But what is motivation, anyways? In technical terms, it describes one’s desire or willingness to accomplish something, similar to a drive or ambition. But are we ever truly ready to do something scary, yet paramount? Onerous, yet rewarding? Motivation requires a particular mindset because after awhile, motivation may decline. But it’s the point at which motivation fades, that commands true strength. Can you push yourself when your drive diminishes? That’s true motivation. But do we have to wait for January 1st to start making these changes? Do we need to participate in a collective rumination only once a year? Growth takes time and abundant nourishment. Planting a new seed at the start of the calendar year is an admirable act, but you can always strive for more. Instead of setting one overarching goal now, set one every morning. It can be a colossal goal that will propel you into the depths of your aspirations, or it can be a minute goal. But these types of goals are just as crucial to your existence, as they gently water the strong seeds in your life, guiding you one step closer to new growth. When you wire your brain to think in this way every morning, you are consequently unleashing novel opportunities in your life. Wake up, take five minutes to reflect on what you need or want in your life, and set intentions for the day that will aid in that journey. Instead of making this year a great year, make every day a great day. When you’re shopping for a sport coat, you look for various qualities. Does it catch your eye? Is the pattern or style to your liking? And, of course, does it feel good, and look good on? But perhaps the most important quality that is often overlooked is whether or not the cut and trim of the sport coat hugs your body in all the right areas. Along with the influx of cheap suits in the menswear business, unfortunately brings along with it a lack of proper fit and quality fabric. Luckily, shopping at Carl Sterr’s shop won’t give you that problem. All of his private label pieces are custom fit, right off the rack! To showcase how Carl Sterr’s pieces fit, pay close attention to the way this sheen, plaid sport coat beautifully forms to Barry’s waist, shoulders and chest. Adding a subtle paisley handkerchief atop a cashmere touch, flannel cotton shirt, compliments the purple-hued sport coat very nicely. But it’s up to the individual wearer on how he chooses to accessory his piece. When you start with a great fitting sport coat, your choices from there will follow suit perfectly, whether you love to add colors, patterns, or choose to stay more classic. To try on a piece for yourself, and really understand why fit matters, stop in to Carl Sterr’s shop during his going out of business sale. All goods are 50-75% off, providing you with luxury goods at exceptional prices! As we prepare for the coming winter months, holiday shopping and organizing plans for the holidays seem to take over our schedules. It can be a busy time for most, while our bodies slowly adapt to the changing temperatures. And while we may not all love the freezing temperatures, it’s a great season to focus on yourself to make time for the things that will make you happy and help you grow. When it’s below 30 degrees fahrenheit, it’s not exactly the best time to hangout outside. So unless you enjoy any winter activities like skiing, snowboarding or snowshoeing, I encourage you to spend more time inside with your loved ones. Have some friends and family over, cook your favorite meal, and indulge in the loving company that surrounds you. After all, winter is the coziest season and the best time to have a dinner party to escape from the frigid cold. Dressing well invokes confidence. Look good - feel good, am I right? Ever walk into a room and have people stop and stare at your custom-tailored suit, with gold, accented cuff links and paisley handkerchief? That feeling of confidence and admiration will surely set your day off in a positive direction. Aim to make bright impressions this winter by taking more time to groom yourself and dress sharp. But over everything, dress for yourself. You will probably feel more energized throughout the day when you make this time in the morning. While soft snowflakes start to gently fall outside your window, it's the perfect time for a fire and some hot tea. Take that time to work on your mental well-being. Instead of turning on the football game, grab a book you’ve been wanting to read for some time and observe how relaxed you feel after only a couple minutes of reading. If you aim to make to new, positive habits, this season is the perfect time to start. Whether through physical activity or diet, you will retain more energy this winter if you focus on improving your physical well-being. Although it’s not ideal to go for a run in the cold, try some at-home exercises, stretch more and cook more wholesome meals. Once Spring arrives, you will feel happy and thankful that you decided to start making positive changes now. 1. A custom-tailored sport coat. Every man needs a well-fitted sport coat that can elevate his look from ordinary, to refined. This year, go that extra mile and take him to get fitted for his very own custom piece. He can pick out everything form the print and style to the fit and feel. It’s a unique and personal gift that he will surely love. Have him curl up this winter in a warm wool sweater, vest or scarf. Wool is the perfect layering fabric to retain extra heat this winter. 3. A pair of boots. Most men love shoes, so what better way to gift this season than to find a stylish pair of boots. Try a classy pair of lace-up boots that can be worn formal or casual. While a black pair may look more polished, a brown pair may add a layer of vintage flare. Fashion is cyclical. What may have seemed dorky when your parents wore it years ago, could be back in style today. Many trends have their spotlight at different points in time, which makes fashion both beautiful and ever-changing. But when styles come back, they often are altered in some way. Modern touches make something from the past feel fresh and new. One trend, however, has always been present. Through generation to generation, denim has remained a prominent part of fashion. Today, you can see denim touches throughout men’s fashion in subtle ways. Modern alterations have transformed denim into a sleek touch to any outfit, whether casual or formal. When it comes to jeans, there are many different washes to try. Raw denim is a denim that is unwashed and untouched from its original form. Usually, you break in this stiff denim by wearing it, instead of washing. From here, you have varying colors in denim, from very dark, to very washed and light fabrics. Pairing the right color denim with the right tones is important. For example, if you choose to wear a lighter wash denim, try pairing with a beige sport coat to compliment the other hues. But beyond color, there are various ways to accent denim in your outfit. A popular look right now is pairing a denim button up shirt with a soft construction sport coat, or a patterned sport coat for more personality. The denim adds a unique texture to the outfit and a pop of color for some contrast. Another look that you can dress up or down is pairing a dark wash denim jean with a tailored shirt and sport coat. The possibilities are up to your imagination, but I promise you one thing: denim is here to stay. Dressing well is one thing, accessorizing is another. Whether it’s a minimalist approach or something more extravagant, accessories always add a nice dimension to an outfit. Although a clean sport coat with no tie can look sleek, adding a tie with a complimentary pattern or fabric can elevate your look. A unique trend for men’s fashion is incorporating a wool tie with a soft shirt, such as denim. This look is great for an informal occasion when you still want to dress up nicely. Everyone loves pocket squares. What’s the saying go again? You keep a pocket square on you at all times for a damsel in distress? Pocket squares are a timeless accessory that give so much personality and a little touch of elegance. I like incorporating a pattern here especially, such as paisley or polka dots. Another accessory popular around this time of year is of course, scarfs. Adding a vibrant colored scarf to an otherwise neutral outfit will not only keep you warm, but also make you stand out. A simple pop of copper color, or even a subtlety striped pattern are both great options for this fall. Finally, the every so lovely cuff links. Cuff links are the icing on top of your outfit. The added bling you need to take your style to the next level. Perhaps Mother of Pearl inlay, or a simple silver stud is your style. 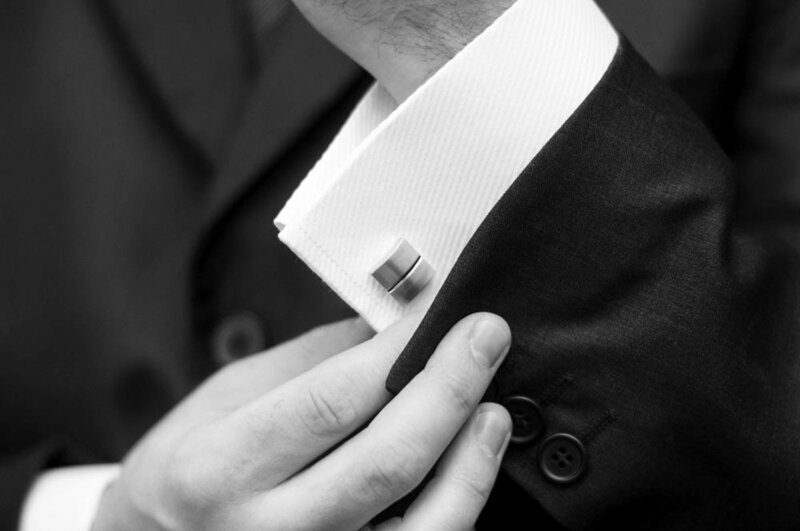 Nevertheless, cuff links are here to stay and perfect for that Friday evening out strolling the streets of Birmingham. As the air cools down to a comfortable crisp, style inspiration can be found from the changing leaves around you. Autumn colors, especially copper, are a great choice for your next menswear purchase. The warm tone compliments any skin tone and lights up the room with some much needed brightness as we head into the colder months. Although fashion has gone somewhat more casual compared to how our parents once dressed, a polished look is never overlooked. A soft construction sport coat gives you a dressy look with a casual finish. Softer in the shoulder, with a shirt-like feel, unconstructed suits can be dressed up or dressed down. One of my favorite trends happening now is slim-fitting suits. If a suit is not well-tailored, the outfit tends to look sloppy, drowning the wearer underneath baggy fabric. A slim suit eliminates that possibility by highlighting the wearer’s shape. An added bonus to this look is that it can also be dressy and casual at the same time. Every look seams to be cyclical. Some styles and patterns may go out of style for a while, but they always seem to make their way back, and plaid is definitely one of those comeback trends! Plaid can be a bold look and add personality to your entire wardrobe. 5. Boots, Boots and More Boots! As soon as the weather cools down, it’s all about layering and what you wear on your feet. Shoes have become a staple part of a wardrobe, especially a sleek boot. Wingtip boots, Chukka boots, Trench boots and Chelsea boots are all stylish additions to any outfit and can be paired with almost any look. Whatever trend you choose to follow, make sure that it aligns with your personal style. Some looks aren’t for everyone, and that’s the beauty of fashion. But adding a new variation to your wardrobe can transform not only how you feel, but also your first impression on others. Sterr opened Carl Sterr on the Hill in 1982. He had previously worked for his father's menswear store in Grosse Pointe Farms, Michigan, but he soon realized that he wanted to do things his own way. Sterr assumed ownership of Tottinghams, a failing menswear store on Maple Road in Birmingham, and renamed it Carl Sterr on the Hill. He then relocated his shop in 2002 to North Old Woodward Avenue, to be closer to downtown Birmingham. The new location brought great success for his brand for many steady years. But as I write this blog post, we are surrounded by over 1 million dollars of brand new inventory. The Internet has made exclusive stores like ours too tough to keep open. As a result, Carl Sterr Menswear will be transitioning to a new concept based on custom and bespoke tailoring during the next few months. Many of you who shop with us now understand the quality of thatkind of merchandise and the care taken in producing that kind of garment. It’s a business that moves at a different pace. We will no longer be carrying the vast inventory we’ve had in past years.Starting Thursday, September 15th, we will be holding a total liquidation sale of our Birmingham store inventory – 50-75% off everything! This is the last fall that Carl Sterr Menswear will be doing this. By shopping now, we will be able to offer you our highest selection, the personal service you have come to expect and appreciate – and the lowest prices you will ever see on merchandise like this. This is the last time that you will be able to shop a sale of this magnitude at your leisure so I encourage you to get in now. And if you’d like to make an appointment to work with Carl Sterr personally, call him at 248-645-6675. We look forward to seeing you and thank you for so many wonderful years in business! For most, fall is the best time of the year. The temperature cools down to a comfortable level, the air picks up a soft, rich aroma, and the landscape is painted with vibrant colors. Not to mention, it’s probably the most opportune time to show off your style. Layering, warm tones and lightweight jackets compliment the cooler weather. Although there are different wardrobes for different climates around the country, there are a few items that should always be in your closet, come fall. What was first hailed as a women’s wardrobe staple, has quickly gained ground among men’s fashion. Comfortable, practical and easy to layer, cardigans provide the ultimate style without thinking too hard about what to wear for the day. Try throwing on a v-neck t-shirt underneath and accessorize with your favorite watch. What’s great about fall weather is that you can layer if you’re cold, but don’t need so much bulk like in the winter. A suede jacket might be the perfect addition to your wardrobe if you’re looking for something to throw on running out the door. Neutral colors are really in style and compliment any skin tone. Corduroys are perhaps the most comfortable pants you can wear while still looking dapper. It’s time to ditch the linen shorts as a cooler front quickly approaches. Shoes are an important part of any outfit. Lately, combat boots have been making a come back and I’ll admit that they look great paired with most anything. You can find a distressed brown leather pair to give your outfit that urban feel, or even try grabbing a black pair to dress more formal. When you add up all these items together, you get the perfect outfit to start your fall out right. Although summer is winding down for some, it is always a good idea to know your essentials, especially when things tend to go on sale at the end of the season! Timeless and a classic, the polo shirt is the one shirt you can grab quickly and immediately look more polished. Look for a cotton blend to keep you cool in the summer heat, or refer to our previous blog post about the coolest summer fabrics for other blends to try. Fitted is the key word, because shorts can often look slouchy and unrefined. From there you can mix and match any color shirt you want to a pair of black, beige, white or navy shorts. Summertime wear is about being comfortable in the heat, so try wearing a pair of shoes that are very breathable as your feet endure heightened sweat. As the blinding sun amps up in August, you have to make an extra effort to protect your precious vision. A tortoiseshell print is always a stylish choice and easy to find anywhere. As summer heats up, perhaps the biggest dilemma in maintaining your street style is finding the right clothes that are comfortable and cool. Who enjoys wearing slacks and a sport coat in 90 degree weather, anyways? But the change in seasons does not mean you have to ditch the formal wear to prevent that sticky back sweat and clammy hands and feet. The most important thing to remember while searching for the right summer clothes is fabric. In the winter, you may grab your wool or cashmere sweater to layer underneath your jacket. While most may think this is impractical to wear in the summer, that’s actually not the case. Wool is a very breathable fabric and stems from natural fibers. A wool blend will keep you cool in that summer heat. As a rule of thumb, any lightweight fabric that comes from a natural source will generally be comfortable to wear in hot temperatures. Silk is another fabric that stands strong as a great option for summer wear. A cashmere silk blend will be a great addition to your wardrobe, as silk contains natural temperature-regulating properties. Another natural fiber to wear is cotton, as it absorbs moisture during those sweaty treks to work. Try pairing a popular cotton cloth from India, called Madras, with a button-down chambray shirt. Chambray is a type of cotton that is woven together in a crisscross pattern, allowing your skin to breath better. Chambray has a similar look to denim, but without the weight, so you can still pull off that trendy look on those summer boat days. Try experimenting with a pair of Seersucker cotton shorts and a linen blazer. Linen is made from fibers of the flax plant, known for its absorbent qualities and freshness during the most suffocating heat waves. Now you know how to stay cool in the summer while remaining stylish! Mix and match these different fabrics and see what feels most comfortable for you, or try different blends to maximize breathability.